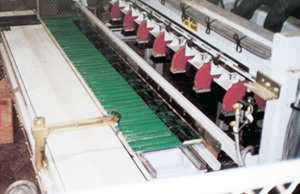 Plaque Routing and Sawing – Creative Automation, Inc.
Our Plaque Routing and Sawing machinery routs keyholes in strips and then crosscuts the strip into individual plaques. In this case, material handling equipment and system integration with existing foilers was also provided by Creative Automation. 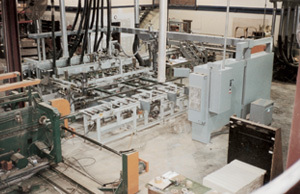 Overall view of routing and sawing equipment. 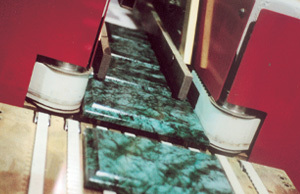 Row of plaques after the crosscut saws. Finished award plaques coming off Creative Automation's Plaque Routing and Sawing line.